Sample Exhibition photography by David McLarnon. 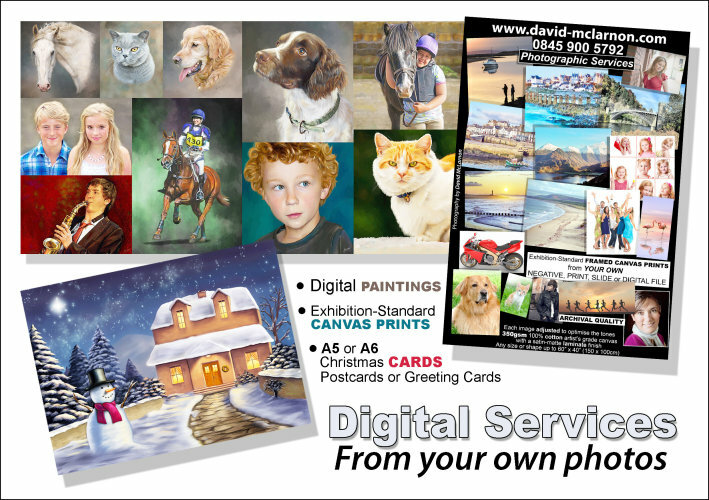 This is a service for your own photographs or artwork. We produce enlarged canvases FROM YOUR OWN DIGITAL FILE, NEGATIVE, OR SLIDE. The price includes delivery by courier. Prices are subject to VAT. When canvas prints are for display in a public place, or for a promotional exhibition, the quality needs to be of the highest level. Therefore, for this service, we use only the best materials available and the best processes to ensure a high-quality finished product.